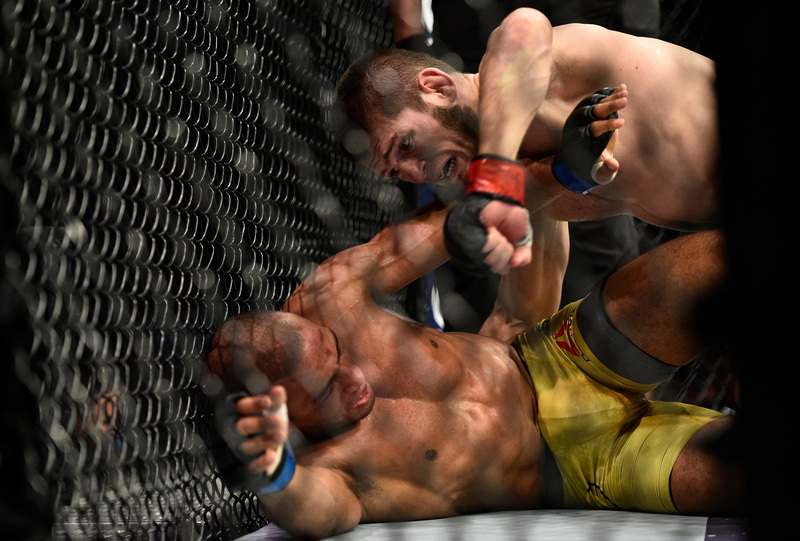 Khabib Nurmagomedov vs Edson Barboza UFC 219 Dec 30, 2017 (25:28) Khabib Nurmagomedov vs Edson Barboza UFC 219: Cyborg vs Holm from December 30, 2017 in Las Vegas, Nevada. Edson Barboza vs Beneil Dariush UFC Fight Night Mar 11, 2017 (18:17) Edson Barboza vs Beneil Dariush at UFC Fight Night: Belfort vs Gastelum from March 11, 2017 in Fortaleza, Brazil. 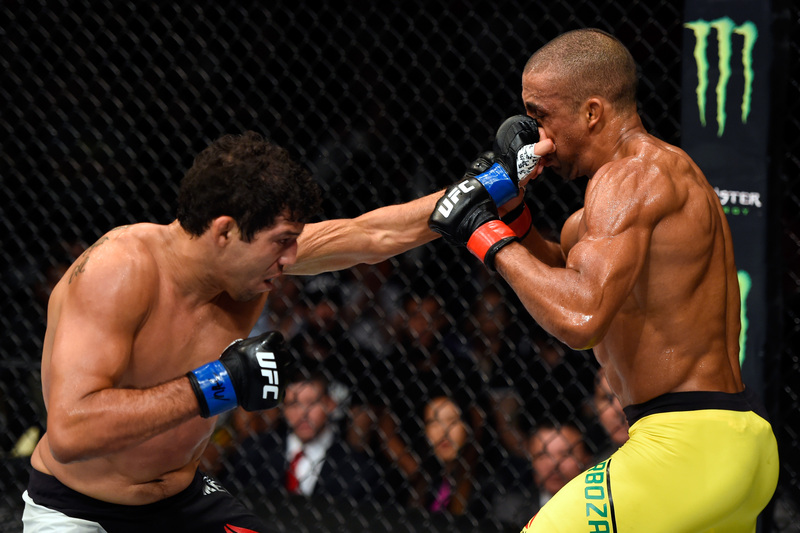 Edson Barboza vs Gilbert Melendez UFC Fight Night Jul 23, 2016 (30:18) Edson Barboza vs Gilbert Melendez at UFC Fight Night: Holm vs Shevchenko from July 23, 2016 in Chicago, Illinois. 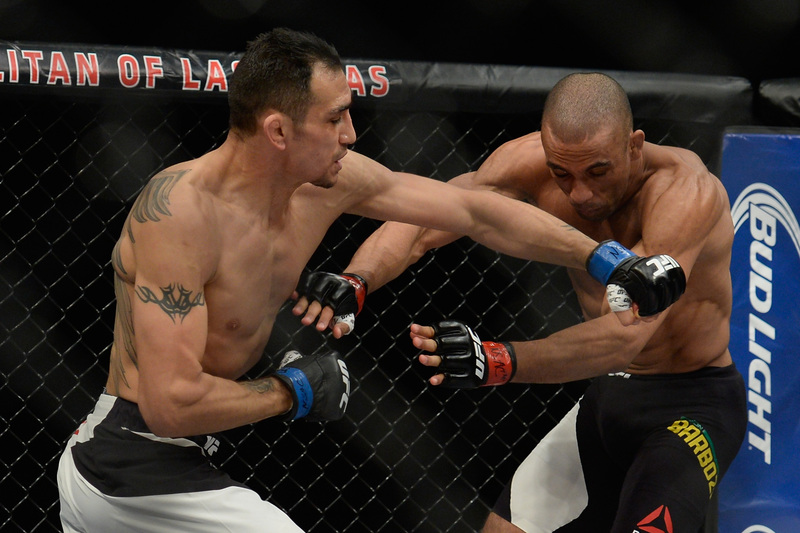 Tony Ferguson vs Edson Barboza TUF 22 Finale Dec 11, 2015 (15:38) Tony Ferguson vs Edson Barboza at The Ultimate Fighter Finale: Team McGregor vs Team Faber from December 11, 2015 in Las Vegas, Nevada. 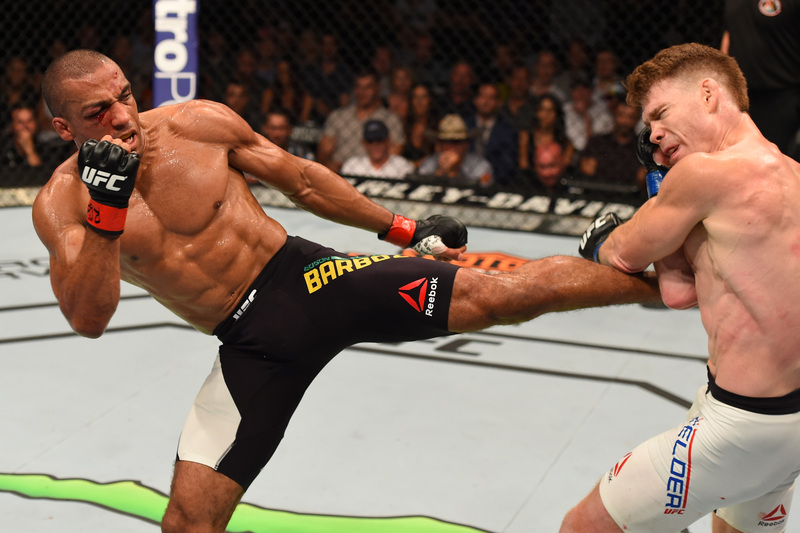 Edson Barboza vs Paul Felder UFC Fight Night Jul 25, 2015 (21:46) Edson Barboza vs Paul Felder at UFC Fight Night: Dillashaw vs Barao 2 from July 25, 2015 in Chicago, Illinois. 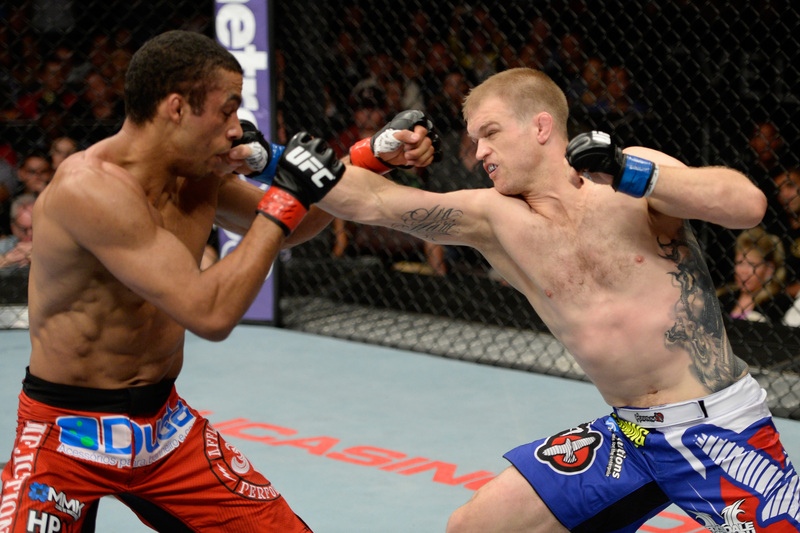 Michael Johnson vs Edson Barboza UFC Fight Night Feb 22, 2015 (23:47) In a matchup of two lightweights on the quest for title contention, Michael Johnson and Edson Barboza collided in the co-main event of UFC Fight Night: Bigfoot vs Mir to start off a colossal 2015. 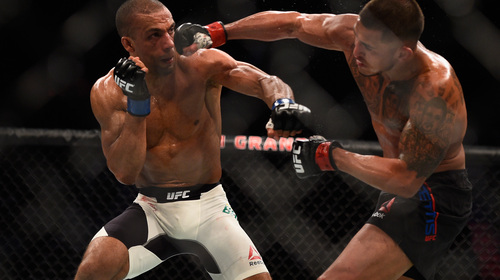 Edson Barboza vs Bobby Green UFC Fight Night Nov 22, 2014 (20:22) A high pace was expected when lightweights Edson Barboza and Bobby Green collided under the lights. 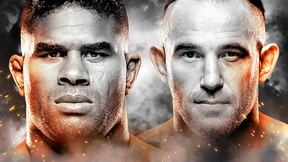 Donald Cerrone vs Edson Barboza UFC Fight Night Apr 19, 2014 (12:35) Looking to keep his name in lightweight title contention, Donald Cerrone took on the exciting Edson Barboza in an action packed battle. 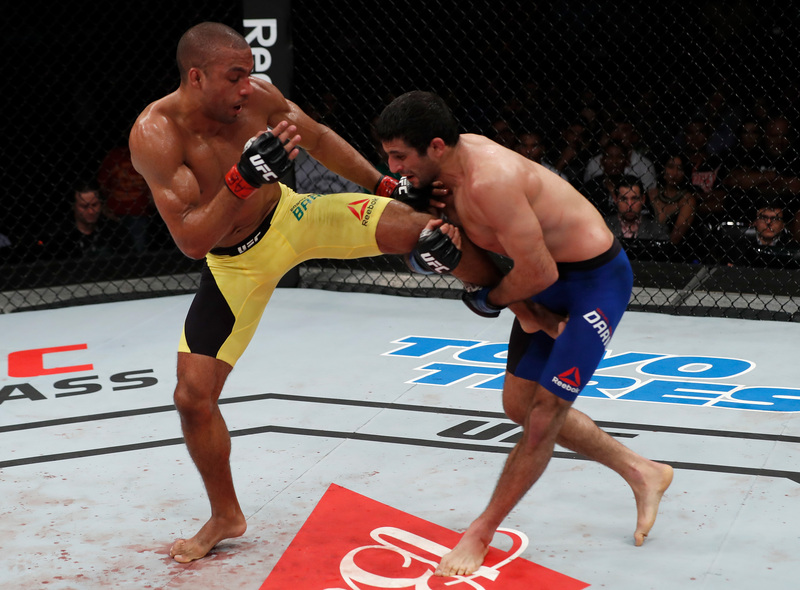 Edson Barboza vs Danny Castillo UFC Fight Night Dec 14, 2013 (19:54) Team Alpha Male’s Danny Castillo and former Brazilian Muay Thai champion Edson Barboza clashed in a wild Fight of the Night bout. Edson Barboza vs Lucas Martins UFC Fight Night Jan 19, 2013 (13:10) Ready to rebound following his first career loss, Edson “Junior” Barboza, whose devastating stand-up earned him a 4-1 UFC record plus four Fight Night bonuses, faced off against the debuting undefeated Lucas Martins, who owned eight of his 12 wins by KO/TKO. Jamie Varner vs Edson Barboza UFC 146 May 26, 2012 (13:32) Edson Barboza put Terry Etim down and out with a single head kick, and that type of spectacular effort was par for the course with the dynamic Brazilian, who had won three consecutive Fight of the Night awards and one Knockout of the Night bonus. 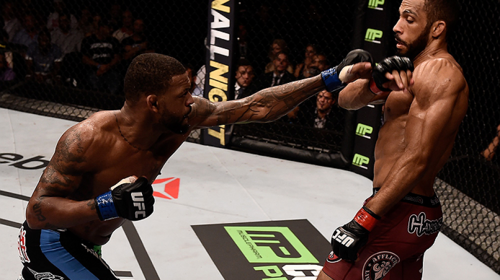 However, his opponent, former WEC champion Jamie Varner, was no slouch when it came to post-fight awards, as his classic battles with Donald Cerrone earned him bonus checks and recognition as one of the top 155-pounders in the world. 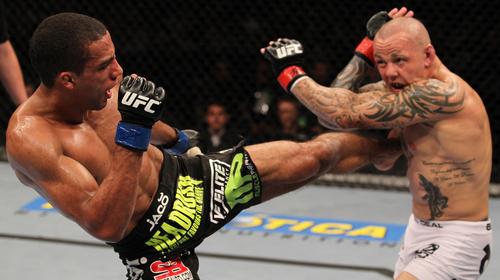 Ross Pearson vs Edson Barboza UFC 134 Aug 27, 2011 (28:10) Edson Barboza had established himself as the top prospect in the UFC’s lightweight division in just two fights. His opponent, TUF season nine winner Ross Pearson, knew what it was like to be a hot newcomer with high expectations, determination, and an exciting style. Edson Barboza vs Anthony Njokuani UFC 128 Mar 19, 2011 (22:30) Undefeated Brazilian fighter Edson Barboza was an accomplished Muay Thai fighter before making the transition to MMA. 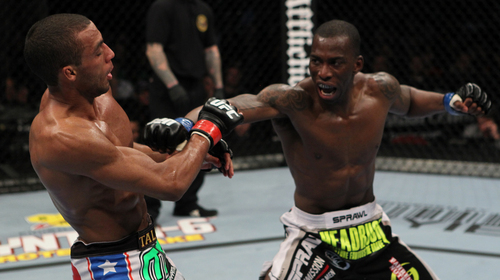 At UFC 128, he took on another fearsome knockout artist-former in former WEC star Anthony Njokuani. Edson Barboza: Fighting and Family Feb 19, 2015 (3:33) Visit with Edson Barboza as he shares his story and path to the UFC. Hear what his wife means to him and how she has helped him become the fighter he is today.